So far as artistic pretensions went, Val Lewton made Orson Welles look like a piker, so how come VL to survive for eleven pictures as opposed to Welles’ measly three? Possibly it was due to less noise he made. Lewton wasn’t one to seek press. Newspapers and popular mags weren’t paying a lot of attention to horror producers in any case. Treading lightly below the radar served him well, but there was slippage evident by late 1943 and The Seventh Victim. We must have been the eighth victim; patrons walked out. Business poor. Some of the kids would not sit through it, this from N.C. Hillburn of the State Theatre in Inman, SC. A lot of exhibitors avoided chillers when they could. Too many complaints of kiddie nightmares and headaches all around. Others limited genre stuff to every third or so month. What they dreaded too were horrors failing utterly to deliver on the promise of poster art. This is without doubt the most unsatisfactory picture we have any recollection of, said A.C. Edwards (Scotia, CA) re The Seventh Victim. Diminished profits reflected exhibitor hostility. $59,000 in black ink was a long way down from Cat People, this despite reduced negative costs for The Seventh Victim ($130,000). The problem arose from domestic rentals reduced by a third from The Leopard Man, itself down from numbers scored by Cat People and I Walked With A Zombie. Marquees trumpeted Tom Conway and little else. For all their moronic scripts and pedestrian sequels, Universal could at least boast of pre-sold horror names in its stable. Often as not, Lewton films were serving as rearguard for rival studio "B’s" --- in the ad shown here, it is Universal’s Top Man in the top spot. Meanwhile, Lewton was mapping out an "A" comedy to spotlight Conway as Casanova, but like any number of proposed projects, it came to naught. 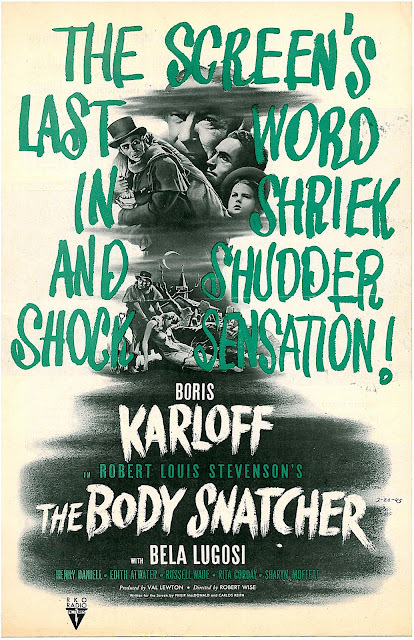 Could this have been the point where RKO began negotiating its multi-picture deal with Boris Karloff? Lewton’s masterpiece may well be "The Seventh Victim", declared Carlos Clarens in his groundbreaking 1967 book, An Illustrated History Of The Horror Film. Rarely has a film succeeded so well in capturing the nocturnal menace of a large city, the terror underneath the everyday, the suggestion of hidden evil. Not having seen the film by 1967, I breathlessly awaited a TV run. Bafflement after watching was proof I didn’t breathe Clarens' rarified air. Was I was too obtuse to get it? Fifty years later, I’m still wondering. Is The Seventh Victim a picture we’re supposed to like as means of demonstrating our grasp of Lewton’s art? Play it to general audiences at your peril. Carlos Clarens concluded by referring to The Seventh Victim as a hauntingly oppressive work. 1943 exhibitors might have agreed with him, though for reasons he’d not have imagined. Val Lewton used second-hand furniture. This much I knew from multiple references to the Magnificent Ambersons staircase in Cat People. Good Lewton sets usually have their origins in someone else’s movie. 1939’s The Hunchback Of Notre Dame was cannibalized for a number of them. It was the producer’s policy to dress up one or two backgrounds for maximum effect and stage much of key action there. The Ghost Ship borrowed a vessel built for Pacific Liner, a modest actioner released in 1939. The Ghost Ship demonstrates miracles Lewton wrought with low budgets. It may be the only contemporary sea story produced that year (1943) without a single wartime reference. 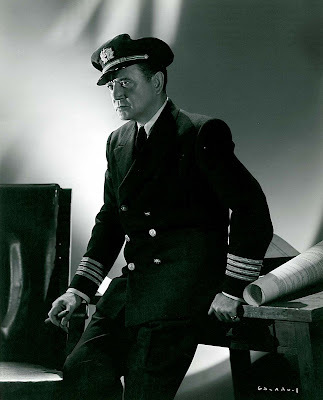 The Ghost Ship made me long for a film noir unit Lewton might have eventually led. What magic he’d have made with Robert Mitchum, Jane Greer, Robert Ryan, and the rest. 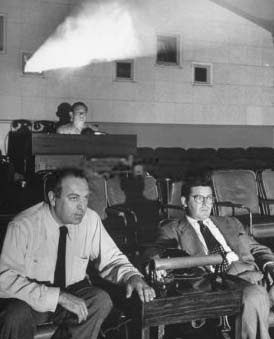 As it is, we have the Lewton imprint on noirs his directing pupils gave us --- Jacques Tournear and Out Of The Past, Robert Wise with Born To Kill, The Set-Up, etc. Much of the look and mood of these can be traced to lessons taught by Lewton. The Ghost Ship gives proof of his expertise with subjects other than horror, despite a title promising more of the same. It is the tightest and most efficient of Lewton's series. 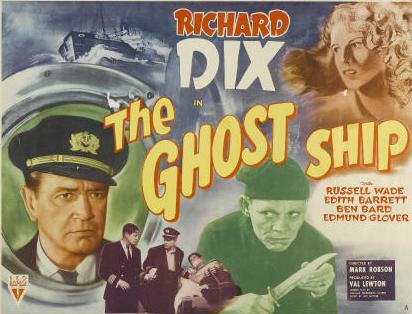 Profits for The Ghost Ship were actually up, as its negative came in the lowest of any Lewton venture --- $116,000. Profits of $105,000 resulted from domestic rentals of $272,000 and foreign receipts of $130,000. Clear sailing but for a lawsuit brought by a writing pair who had submitted a remarkably similar play supposedly received, but not read, by Lewton’s office. The mess could have been settled for seven hundred dollars, but Lewton stood on principle and insisted upon trying the thing out. Twelve men good and true came back with $25,000 for the plaintiffs, which appeals courts let stand despite Lewton’s disavowal of allegations made (the claimants were, by his account, charlatans and extortionists). The fallout was serious. I suspect this, as much as anything, helped put skids under Lewton. Sadder still was the fact his excellent movie had to be withdrawn and buried for generations to come. The Ghost Ship became itself a wraith largely unseen. It was in the C&C Movietime package of RKO features from 1956 into the early sixties, but was withdrawn by the time United Artists repackaged the Lewtons for May 1963 syndicated release. There were a few 16mm prints from older packages floating among collectors. Harris Films out of England was U.K. rights holder for RKO, and a number of Ghost Ships floated our way when Harris shelves were cleared in the late eighties. The issue became moot in any case when an early nineties clearance of rights permitted Turner to finally put it back in circulation. Purchasers of the Lewton DVD box set are likely unaware of what a scarce collectable this once was. Every appreciation of Curse Of The Cat People begins with an apology for its title. Were it not for that baleful thing heralding the credits, this might be regarded one of the forties’ permanent film classics. Lewton wanted to call it Amy and Her Friend, which might only have hastened his departure off RKO premises, but surely he’d have gotten recognition deserved for what many (myself included) consider his finest work. The child’s dream world depicted here is much like one a lot of us shared with this movie during childhood viewing. The spell it cast was something special after house lights went down and parents were abed. Did Amy’s spectral companions differ so from those we welcomed on Shock Theatre each week? No other Lewton, indeed no other fantasy film, calls up such intense emotion. It’s impossible to imagine such delicate filmmaking from any other major studio, let alone during wartime. RKO mutilated The Magnificent Ambersons two years before, but redeemed at least in part for enabling a small masterpiece like Curse Of The Cat People. Writer DeWitt Bodeen maintained that Lewton junked his ending due to front office pressures, but from what I’ve read of that intended finish, it would seem Lewton came to the rescue of what might have been a misguided idea on Bodeen's part. James Agee again sang Lewton’s praises, claiming to have sat among hardened Rialto patrons through what he expected would be a film disappointing to them, only to be relieved by a burst of applause at the end. Who says horror fans have no sensitivity? I can’t help believing MGM was watching as well, for what is Meet Me In St. Louis’ Halloween segment but a glossier recap of Ann Carter’s frightful walk through the night? Atmospheric, set-bound parallels between the two features are striking. 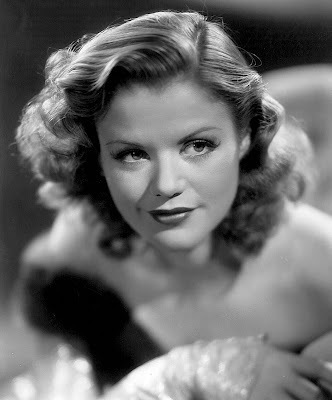 For the record, Curse Of The Cat People was shot during August and September of 1943. Meet Me In St. Louis followed with production beginning November 1943 and extending into Spring of the next year. Did someone at RKO give Vincente Minnelli a peek at Lewton’s handiwork? Judging by evidence at hand, I’d say they did. And what of the remarkable Ann Carter? Her performance has Margaret O’Brien beat like a drum, but little came of it but decades of wondering what had become of the seven-year-old actress. Never underestimate determination of fans raised on vintage horror, however, their ceaseless efforts having rooted out players long retired to private life. I didn’t know until today of Ann Carter’s rediscovery, let alone her upcoming interview on a Lewton documentary to be shown later this year on TCM. 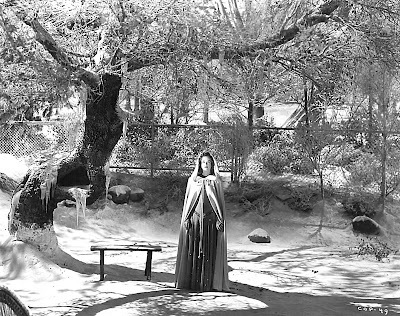 Curse Of The Cat People was the sixth release in Lewton’s RKO horror group. It also performed the poorest of any thus far. The first of the chillers to pass a negative cost of $200,000, this required $212,000 to finish, a figure not likely to endear Lewton to his employers. Domestic rentals ($268,000) surpassed The Seventh Victim and The Ghost Ship, but profits added up to a paltry $35,000. All six entries in RKO’s recent Tim Holt "B" western season did better. New directions were clearly needed if Lewton’s series was to continue. Lewton longed to produce "A’s", but sadly got only so far as a pair of oddball non-horrors that lost money for RKO and likely put paid to dreams of graduation from low-budgeters. Ironic that directors he had mentored would move up prestige ladders while Lewton ran in place. Jacques Tournear’s Experiment Perilous was reward for that director’s outstanding work on Cat People, I Walked With A Zombie, and The Leopard Man, and the studio’s borrowing of MGM heavyweight Hedy Lamarr assured effort toward bookings better than any of Lewton’s received. Trade support for Experiment Perilous confirmed its position as one of RKO’s top 1944 releases. 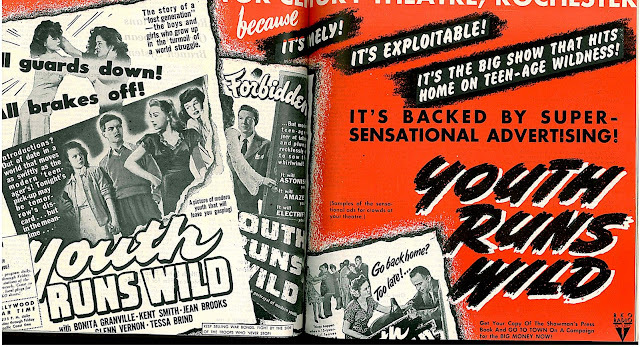 Lewton’s Youth Runs Wild fell into line with juvenile delinquency melodramas being turned out en masse by not only the mini-majors, but straight-out exploitation producers as well. Columbia offered Youth On Trial. State’s Rights distributors peddled Youth Aflame. Where Are Our Children? and Are These Our Parents? would seem to have answered similar lines of inquiry. Why see them both? Indeed, why see Youth Runs Wild, especially with a title that would, by comparison, confer dignity even upon I Walked With A Zombie? RKO took the post-production scissors route. Lewton called remnants a stinker. 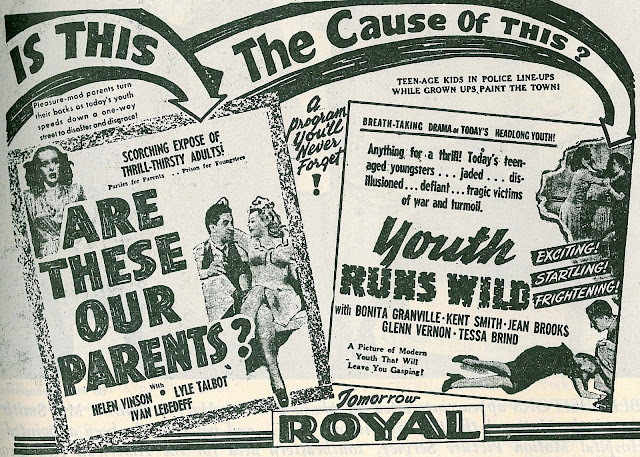 Youth Runs Wild had a negative cost of $291,000 (the prospect of an audience beyond kids having loosened RKO purse-strings), but JD problem pictures made little impression on foreign markets already hobbled by the war, thus oversea rentals a low $50,000. Final loss of $45,000 couldn’t be blamed on Lewton, for this market was as glutted with teenage troublemakers as theatres would be in the mid-fifties. Worse to come was Lewton’s non-genre Mademoiselle Fifi, with measly domestic rentals of $150,000 (foreign $48,000) against a negative cost of $228,000. The loss this time was worse --- $110,000. It was clear RKO had no confidence in Fifi. Judging by its invisibility in the trades, you’d hardly know it was out there. Accustomed lower berths (of the sort shown here) did not bode well for Lewton’s effort at a more sophisticated product, so it was back to the horror grind, but now with a twist. If Lewton wouldn’t look to Universal for inspiration, RKO would bring Universal to him. Jack Gross was a producing vet at the latter who liked his monsters straight up and uncomplicated. 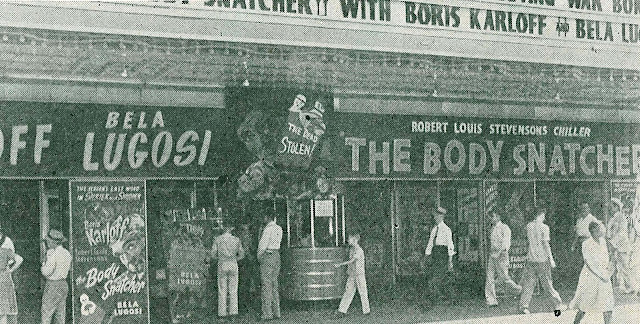 Commercial lure Boris Karloff was brought on to resuscitate the boxoffice. Lewton was opposed to the plan, at least to begin with. How could he know the partnership would result in the biggest grosser of his horror group; indeed, the only one that would give showmen and their customers precisely what they wanted by way of shudders. The Body Snatcher, its gala premiere and success, follows in Part Three. I'm with you, John, on The Seventh Victim. I devoured Carlos Clarens's book in 1967 and was awed by his erudition and felicity with words (I still cherish his gentle dismissal of the original Mighty Joe Young as "most charitably described as King Kong for children"). Many of the films he covered I hadn't seen in '67, and almost invariably, when I finally did see one of them, there would be a glow of recognition because Clarens had described it so well. With The Seventh Victim, my anticipation was intense -- Val Lewton's masterpiece?? Wow, can't wait! When I finally did catch up with it -- some 30 years after reading of it in Clarens, my reaction was a resounding Huh??? Your previous post on Lewton prompted me to haul out my Lewton laserdisc box set, and I'm sorry to say that's still my reaction. How I'd love to see the version of Seventh Victim that Clarens described, but I fear it died with him (too soon, at 56). It is a sign of my enormous respect and admiration for the proprietor that I will reluctantly agree to disagree as to the merits of THE SEVENTH VICTIM, which I find one of a handful of movies that reflects something elusive and basic about life in this world in an original manner. I'm right back with you on THE CURSE OF THE CAT PEOPLE, though -- I wish at some point you would consider expanding your eloquent thoughts on the movie into an essay of some length. I got the Clarens book out of the library every two months from the time I was eight, though I don't think I read it through until I was 11 or 12. I didn't remember what he said about the Seventh Victim (or really anything else) when I finally saw it for the first time 5 or 6 years ago, but I loved it. Mainly because it's so different from the horror films of the time, and incredibly moody. Change the satanists to fifth columnists, and it would be a classic noir. I just saw Apache Drums for the first time a month or so ago, but will wait 'til you get to it. Appreciate your input, MDG. I'll not be covering "Apache Drums" in Part Three because I've not seen it! Here's hoping Universal will someday release it on DVD as part of their annual western promotion. 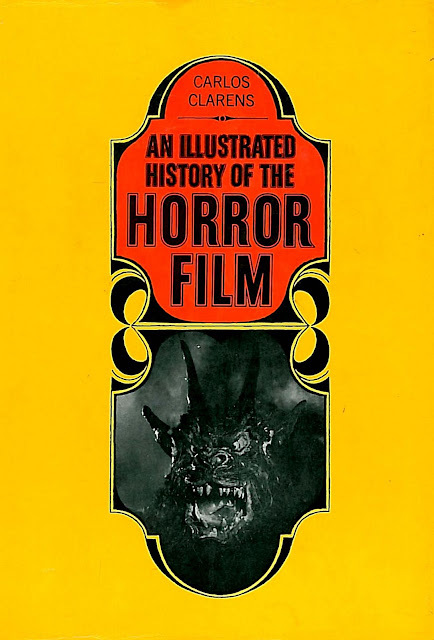 If anybody up there in New York City sees Calvin T. Beck or "Charles F. Kane" looming around GOTHIC CASTLE please tell them I'm still waiting for my copy of AN ILLUSTRATED HISTORY OF THE HORROR FILM. I sent them a check for $4.95 (shipping & handling included) and someone cashed it. Forty years ago.